(PNS) It has been three weeks since the Southern African countries of Mozambique, Malawi and Zimbabwe were slammed by Cyclone Idai, packing winds of more than 120 miles per hour and torrential rains that produced catastrophic flooding. But, as first response rescue efforts continue, it is becoming clear to aid agencies such as Presbyterian Disaster Assistance (PDA) that recovery is going to be a long process in this region. That brings with it the challenge of keeping people’s attention focused on recovery in distant nations when the media gaze is turned to newer disasters, maybe closer to home. Cyclone Idai grabbed attention when it happened, followed by statistics that have become more staggering as time goes on. 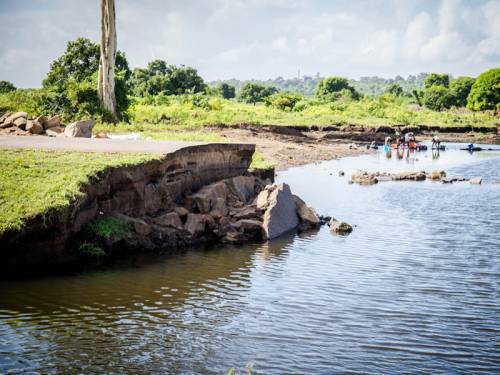 The death toll across the three countries stands at nearly 1,000, according to various news sources, with more than 129,000 displaced people in Mozambique, 250,000 affected by floods in Zimbabwe and 17 out of 28 districts affected in Malawi, according to ACT Alliance, which PDA partners with in global disaster recovery. One of the current concerns is an outbreak of cholera and other water-borne illnesses, according to the United Nations. Click here to give to PDA’s work in Southern Africa. There are added challenges working in an area that has grappled with systemic poverty in its recent history, and now has had much of its infrastructure decimated by the storm. “It makes it difficult to get resources in if you don’t have roads … when there’s rainy seasons, just trying to get the materials that they need for their projects — if the planes can’t land and the trucks can’t get in, it’s difficult to get resources to the places they need to be,” says Dayna Oliver, PDA Associate for International Program Administration. In the early days of the disaster, PDA has been working through ACT Alliance, a coalition of 151 churches and faith-based organizations working in more than 125 countries, channeling donations to the group for immediate needs. As rescue turns to recovery, the Presbyterian group will be looking at how to best use resources not only to aid recovery but improve conditions in the region. It’s a process PDA is exceedingly familiar with, and Kraus can point to recent successes such as earthquake recovery in Haiti, where long-term recovery efforts included creating sustainable schools and employment opportunities. She says in long-term recovery, PDA often partners with fellow Presbyterian Compassion, Peace & Justice ministries such as the Presbyterian Hunger Program and the Committee on the Self-Development of People to complete projects that make things better than they were before the disaster. All three of those programs are supported by the One Great Hour of Sharing special offering. “I think the church is at its best when, as in Matthew 25, you look to the stranger — when was it you that we fed, when was it you that we gave a drink to, when was it you that we sheltered when you were homeless?” Kraus says. “Matthew 25 suggests that neither the people who do good to strangers nor the people who decide to ignore strangers actually know that when they see a stranger, they’re seeing the face of Christ. Kraus says Church World Service and ACT Alliance are particularly adept at working with people in affected areas to determine needs and then share those needs with disaster recovery ministries to see where they can help. 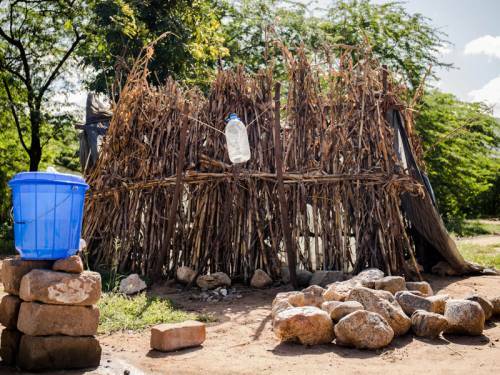 In addition to funds specifically earmarked for Southern Africa disaster recovery, Kraus and Oliver say non-specified disaster relief funds are extremely helpful in lower-profile situations that may not get extensive media coverage but desperately need help. “One of the other things that’s really lovely about some of the fundraising that happens around PDA is that a lot of our constituents and partners in the church know that there are disasters that won’t get attention,” Kraus says. “So people, even during a large-scale disaster that gets a lot of public attention, will sometimes — frequently — give to our general fund to say we know there are many, many needs that don’t get the megaphone of the large-scale disaster, and we know that PDA is going to show up and be there for those as well, so we want to give to your general fund so you can meet those needs.